Within the span of an entire year, there are a lot of events schedule that you can attend or go to. These events come in different natures as some of them are formal and corporate while some focus on providing joy and fun to the attendees. No matter what event it is that you plan to go to, you should always be aware of all the regulations that you need to follow during the entire event program execution. Even before going to the event proper, you should be prepared with everything that you need. One of the things that you need to bring, especially during VIP events; limited entrance screenings; and paid concerts, is an event ticket. If you have already attended an event even once, there is a big chance that you are aware of how important a ticket design is. Event tickets are used to reserve entrance slots for event attendees. It can also be used to pre-determine the number of expected event participants based on actual ticket sales analysis. Creating the format and ticket design of an event ticket as well as developing its content can be faster and more efficient if you have samples to guide you. Refer to the downloadable samples that we have curated in this post. Select the size of the event ticket so you know the actual measurements of the medium that you will work on. Just like in the development plan of an event poster, the first thing that you need to do when creating an event ticket is to be aware of the base where you will start the entire design process. Knowing the exact size of the ticket that you will use can help you be more precise when selecting which service logo design items to put. 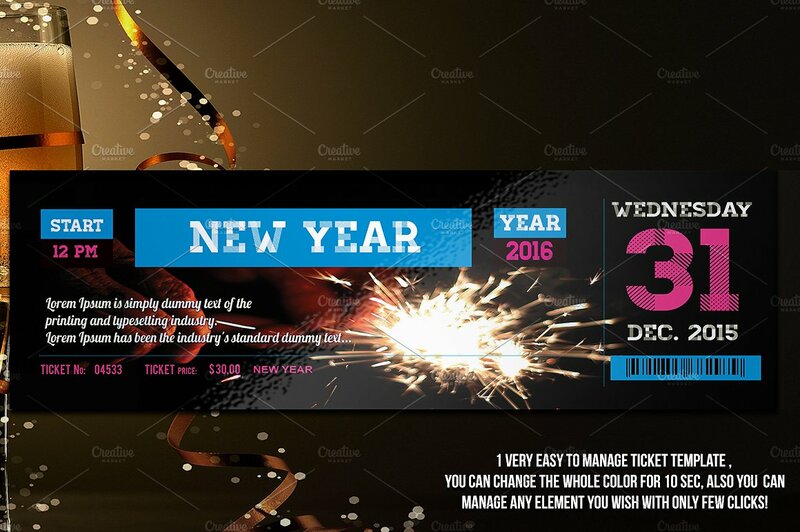 Start designing an event ticket by choosing a background design. With the size of the event ticket on mind, you can already visualize the branding designs and items that you will put together. Before thinking of the content marketing and format construction logo design, you should first identify the background that you will use. 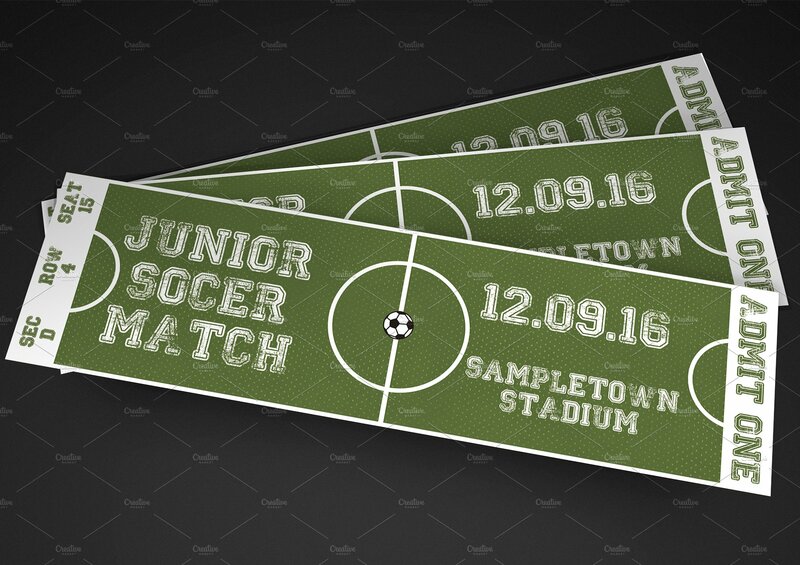 Be specific with the texture, finish and quality of the background design as it will take up the entirety of the ticket’s base. Identify the text layout that you will use depending on the desired content that you want to put in the event ticket. Before formatting the event ticket, you need to create a list of the items that you will place in each part of the ticket layout. This can help you create a more dynamic and organized information presentation agenda. For organization and security, include a serial number, a QR code and/or a bar code in each event ticket. Adding security policy features in your event ticket will depend on the nature of the event planning checklist. This is very important in big events where a huge crowd is expected during the event proper. More so, this is applicable in events where there are sitting arrangements, entrance specifications, VIP treatments and other kinds of audience separation, placement and/or division. You can add perforations if you will incorporate a stub in the ticket design. There are events that use tickets with stubs attached on them. These stubs can be used to redeem food branding items, beverages, merchandises and the like. Adding perforations in the structure of your ticket design can help attendees and/or guests to easily tear the stub from the ticket. Edit the entirety of the event ticket depending on your own jurisdiction. Once all the items are already put together, you need to spare some time to assess whether there are items that you would like to add or remove from the actual ticket design portfolio. Make sure to customize the design items that you will specifically use for your event proposal ticket so that it will not fall flat or standard. 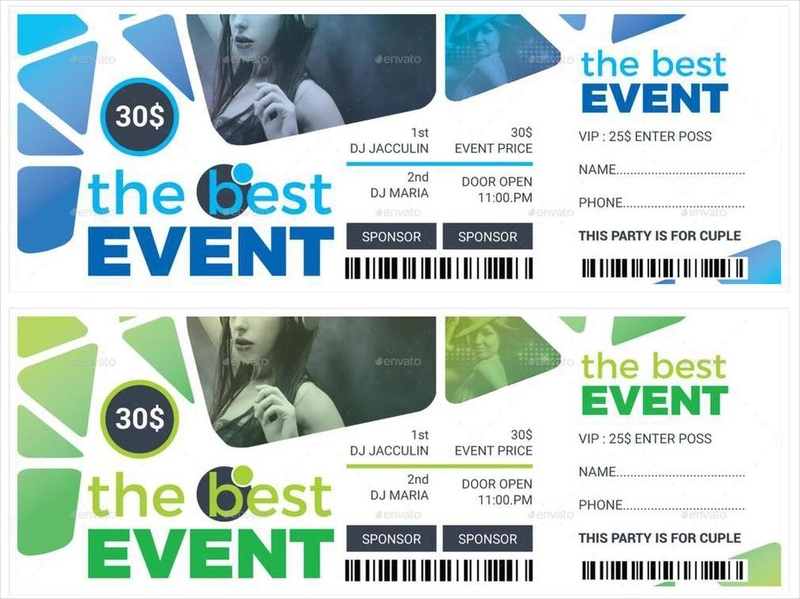 Also, do not be afraid to adjust the layout of your event ticket especially if you think that it can improve the overall visuals and aesthetic of the tool. The items listed above only include the technicalities in developing an event ticket. Web Design portfolio wise, there are still a number of things that you need to incorporate in each processes to ensure the cohesion within your event ticket structure report. If you find it hard to start from scratch, you can browse through different downloadable templates and select the specific template that can provide you with most, or even all of your requirements. The content of your event ticket should focus on the main details about the event’s execution. 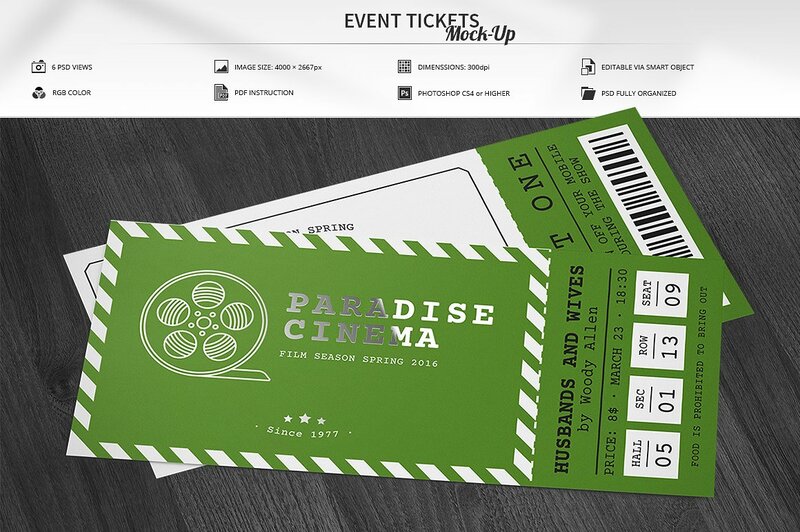 With this, create an event ticket format that can highlight the event’s name and logo design. You can also include smaller logos of sponsors, partners, event organizers, and suppliers. Do not forget that the content of the event ticket is as important as its design. Ensure that you will create a comprehensive event ticket by adding all the information about the event especially its actual date and time of implementation. Address the issue on whether you should make the tickets in landscape or portrait format. The content of your event ticket can affect this decision. This is the reason why you need to organize the details that you will place in the event ticket beforehand. You can use a landscape event ticket format if there are a lot of information that you would like to present. Promote balance in your ticket design by creating relevant spaces between your content placements. This will allow your event ticket to look sleek and appropriately structured. Do not let the content text clutter the entirety of the ticket design. 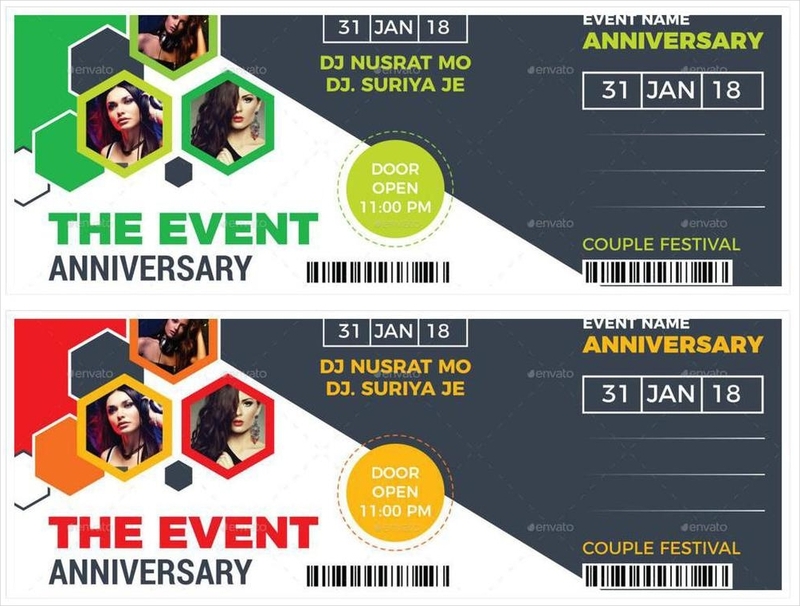 Make the entire design of the event ticket look properly put together. Using great and pleasing color combinations can help you incorporate the ticket content with its interior design portfolio. What Should Be in an Event Ticket? There are still other items that you may add or deduct depending on your desire or needs. You can include images as a part of the event ticket content so you can make your event ticket look more visually attractive. Designing an event ticket is challenging. At times, you may need to seek professional portfolio help from graphic designers and other creatives to ensure that you will properly consider branding principles and design guides within the entirety of the event ticket development. 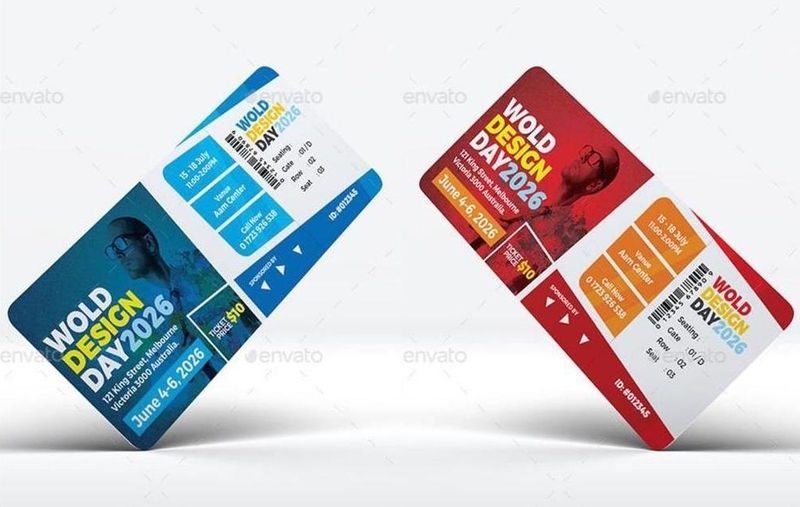 However, do not forget that the processes of event ticket designing can also be fun and exciting. 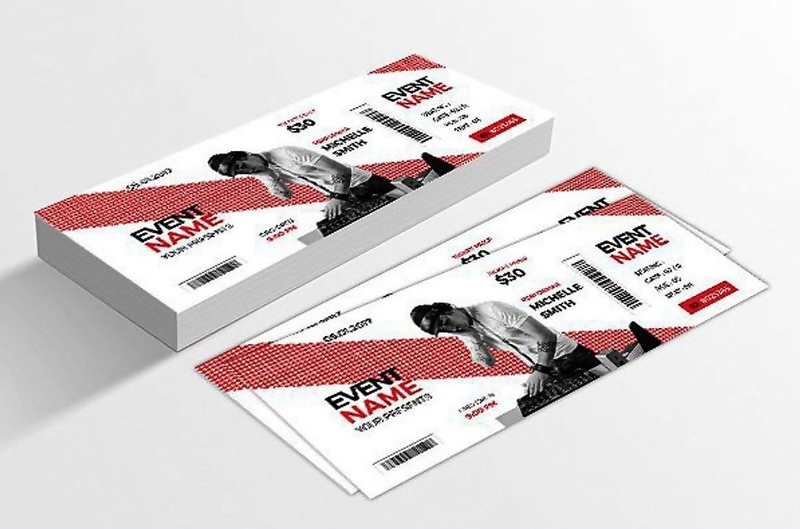 As one of the first touch points of event attendees to the event, your ticket should be designed based on the brand or image that the event would like to be associated with. Ensure that your event ticket is visually pleasing. Do not use designs that are too heavy to look at. As much as possible, go easy with your visuals by using striking and relevant design items. Do not include aesthetics that are not even necessary in the first place. 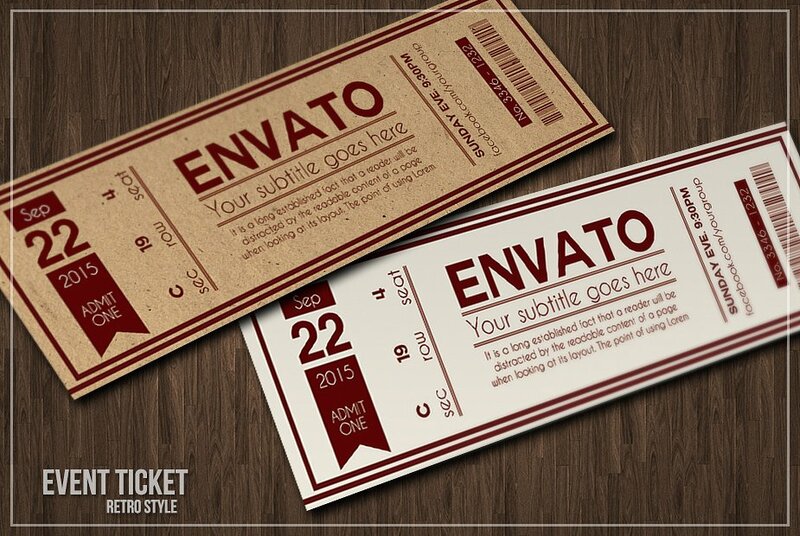 Do not forget to smoothly incorporate your aesthetic not only with the layout of the ticket but also on its content. Again, the core objective of using an event ticket is to ensure that the crowd can be well-aware of the event proceedings. Putting all the information in an attractive portfolio and organized manner can help you create an outstanding event ticket. 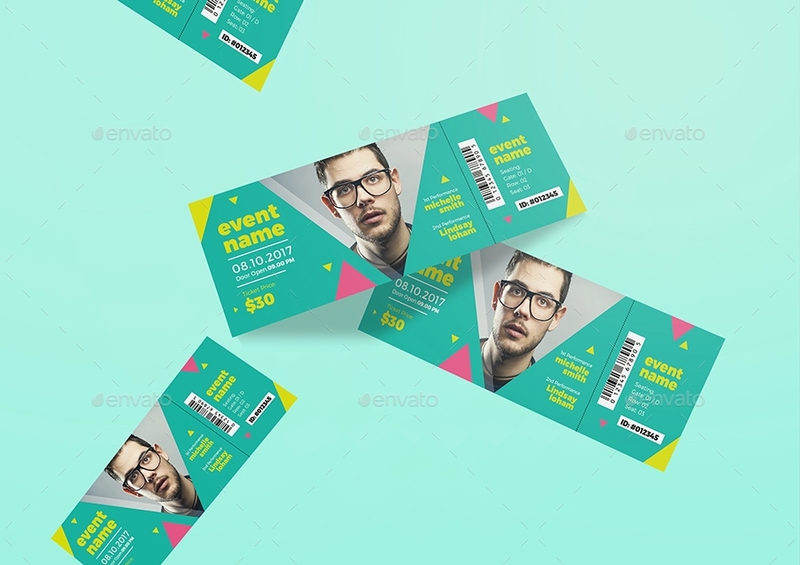 Stick with the event’s objective and purpose when creating the event ticket design. May your event ticket be used for a formal event or a concert, it is essential for you to ensure that you can use your event ticket as one of your marketing and email branding tools. Make the event attendees have appropriate impressions and perceptions about the event by using an event-relevant ticket design. Do not be afraid to be creative. There are no specifics when it comes to designing an event ticket. As long as you can create a cohesive design and you can present all the important details about the event, then you have the full creative freedom to design an event ticket. Incorporate group promos when selling event tickets. Your event tickets can be more marketable if you will use marketing proposals strategies during the selling period. As an example, you can provide a free ticket in every five tickets that will be bought in a single purchase transaction. You can offer this for a limited time only so that more people will be eager to get the tickets and the freebie. Use email newsletters to disseminate information about the ticket selling. If your business already have a list of previous customers and their email addresses, you can use this list to provide information about the event ticket selling. However, make sure that the customers to whom you will send an email have agreed to receive newsletters from your business. If you have any other events before the actual event where the tickets will be used, make sure to promote your ticket selling activities. This will allow you to create more curiosity and buzz about the next event. More so, this activity will help you to sell more tickets. 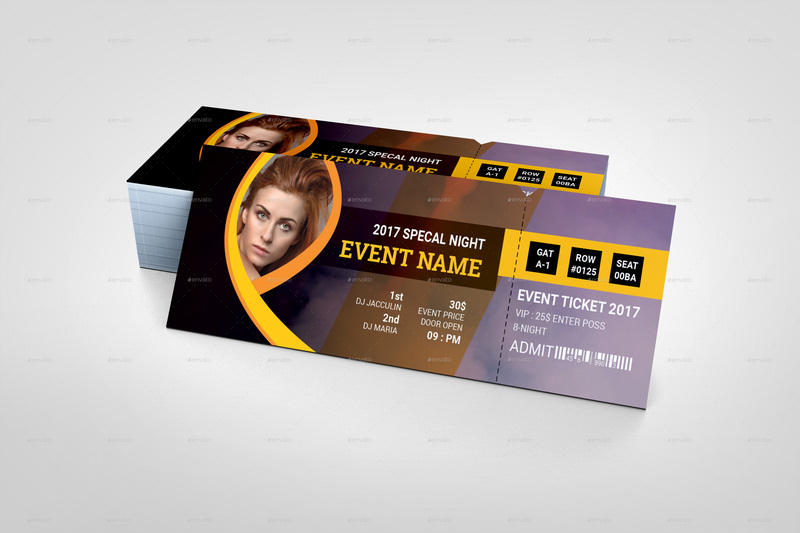 In the processes of event ticket designing, do not hesitate to utilize the usage of a template or a sample. Aside from this, follow the tips and guidelines that we have specified so you can come up with an effective and outstanding event ticket for your event. Always remember that your event ticket is a representation of your actual event program agenda. Make the design of your event ticket count.